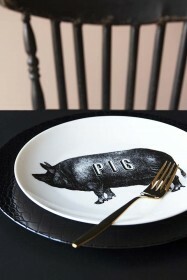 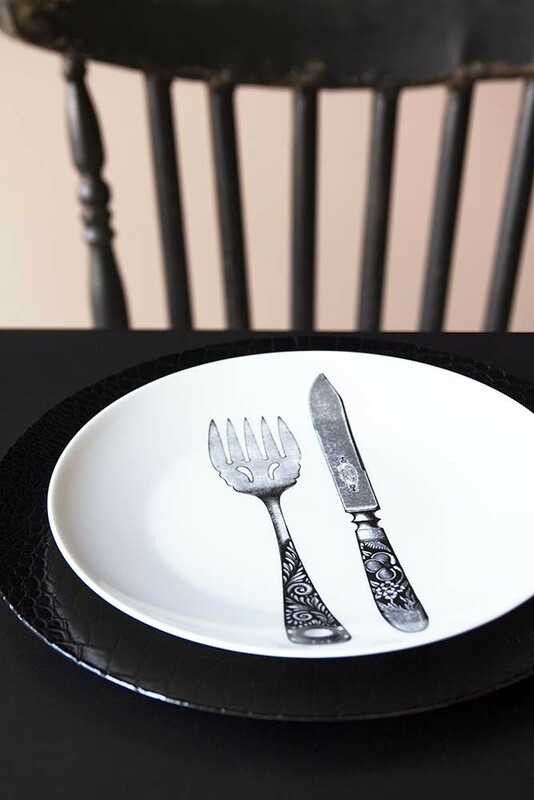 A beautiful fine china plate with a black knife and fork illustration the gorgeous plate will add drama, interest and personality to your dining and kitchen tables! 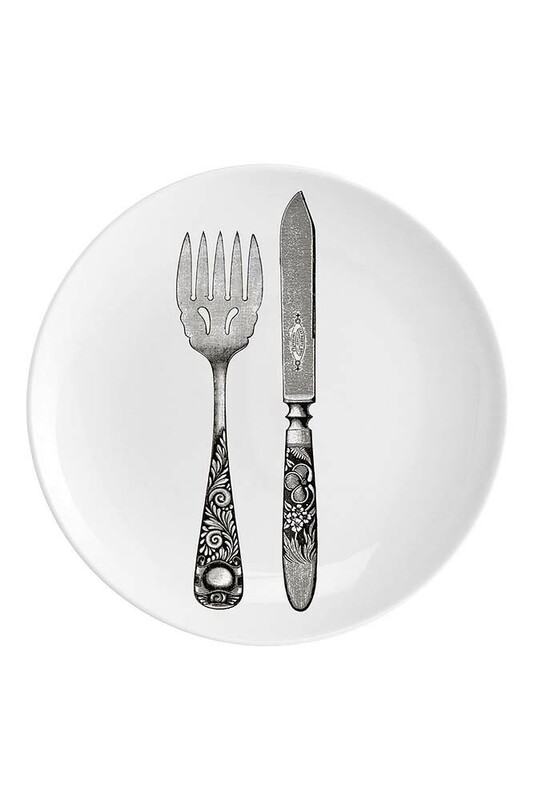 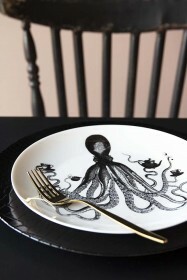 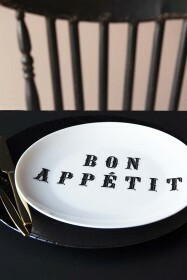 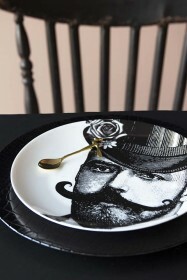 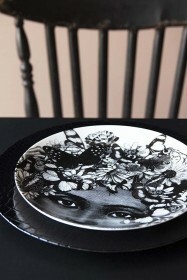 Alternatively, why not mount this beautiful Knife & Fork Fine China Plate on the wall? 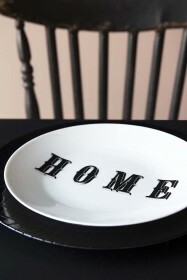 It will make a brilliant decorative addition to any picture or gallery wall in your hallways, living rooms, bedrooms and kitchens! 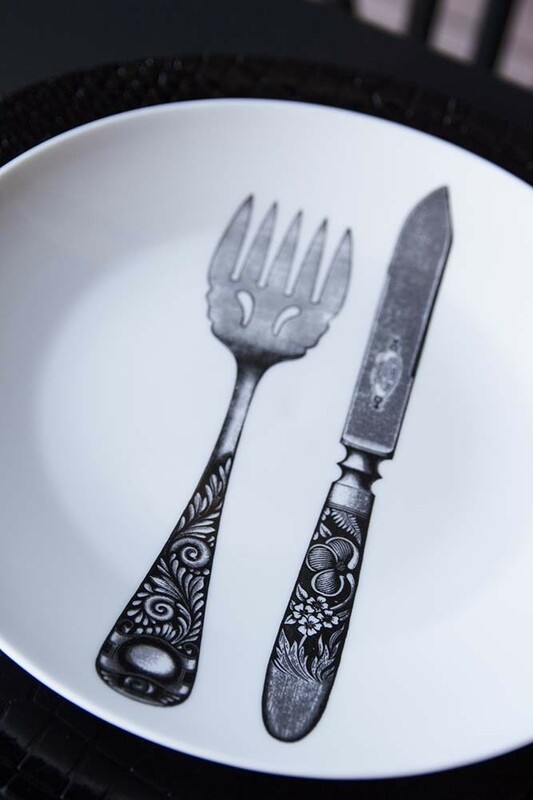 A great gift idea, the Knife & Fork Cutlery Fine China Plate is also available in an Octopus, Butterfly Lady, Pig, Bon Appetit, Home and Dashing & Dandy Gentleman design.